Has powerful soothing, decongestant and anti-inflammatory effects. 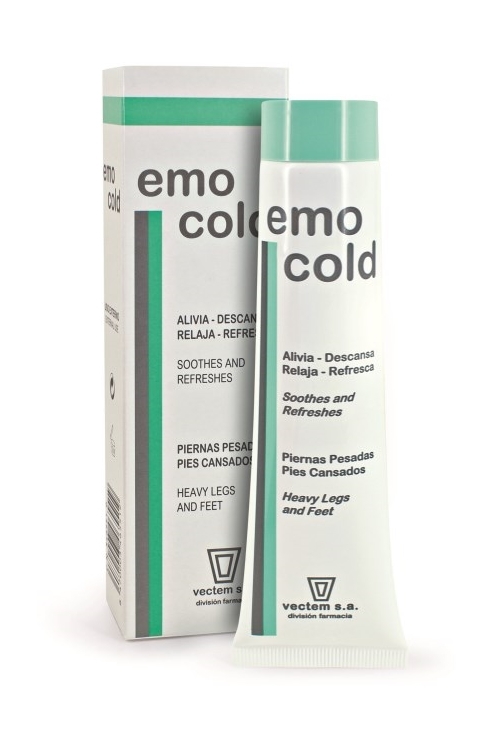 EMOCOLD This refreshing cream-gel alleviates congestion, relieving tired legs and feet and poor circulation. Packaging: 75 ml tube. A relaxing and refreshing cream that prevents and relieves feelings of heaviness or fatigue in tired legs and feet or in those prone to congestion. Also suitable for swollen ankles. Contains two plant extracts (RUSCUS and CHESNUT TREE) with proven topical vasoprotective, vasoconstrictive and circulation-boosting activity. Contains a cooling, energising and relaxing combination of lavender and menthol. Contains nourishing Avocado oil to improve the appearance of the skin.